I was born in the birthplace of Chiropractic: Davenport, Iowa, where my father, Dale Jacobson, was finishing his Doctorate of Chiropractic. When I was four months old, we moved to Belgium so he could study with Dr. Gillet, the chiropractor famous for taking chiropractic from the static “bone out of place” paradigm to the more dynamic system of functional evaluation via joint motion analysis. By the time I turned two years old, our family moved back to my dad’s hometown area of Nevada City/Grass Valley and my parents opened Jacobson Chiropractic in 1979. From my earliest days, I have watched my dad treat patients, teach seminars throughout the country and heal people. The power, simplicity and sensitivity of “to practice with hands” (the meaning of chiropractic) have drawn my deepest interest for as long as I can remember. I grew up in Nevada County as the eldest of four beloved children. My parents helped found what is now the Yuba River Charter School and I was Waldorf educated from kindergarten through the 8th grade. I then went to Nevada Union High School. Every summer, since I was twelve years old, I have taught swim lessons and worked with kids. From this early age, I knew that I wanted to empower children, women and families. I pursued this goal at Mills College, graduating in 2002 with a Bachelor’s degree in Women’s Studies and Ethnic Studies. I travelled to England and India for my thesis work, which examined a woman’s place in distinct power structures: in family, in community, and in global society. I saw first-hand how empowering women is often a potent seed that sows positive change in the family and greater community. In addition, since I was 18 years old, I have travelled internationally quite extensively—experiences that have broadened my understandings of health and family. I started at age fifteen by spending a summer as an exchange student in Switzerland, and then after high school I traversed Europe for 6 months. In later years I studied with Tibetan Buddhists, trained as a yoga teacher in India, did five silent, 10-day meditation retreats, studied Spanish in Mexico, trekked all over Nepal, sailed for two weeks in Greece/Turkey for my honeymoon, and sailed in the British Virgin Islands. In the spring of 2003 I met Luke Hunt, who is now my incredible husband. A scientist and avid outdoorsman from the Big Trees/Hwy 4 area of California, he was working on his PhD in biology at Stanford’s Hopkins Marine Station and living on a sailboat in the Monterey Harbor. What can I say? When you know it is right, you know. We were married in the fall of 2004 and I moved aboard his cozy 31-foot sailboat and called it home for two-and-a-half years before moving to Portland for my chiropractic education. I graduated from the University of Western States Chiropractic College in Portland, Oregon in December, 2008. While there, I also pursued advanced training in Craniosacral Therapy with the Upledger Institute and with Carol Gray. Portland is unique in that health practitioners from across the spectrum often cross-pollinate –midwives practice with medical doctors, and chiropractors and naturopaths write NIH (National Institute of Health) grants together. This cooperation affirmed my core belief that an interdisciplinary approach to healthcare is truly the gold standard. While in Portland, I also studied with three well-known chiropractors that specialized in pediatrics and women’s health. Then, while pregnant with our first son Jacob, I experienced just how fear-based US healthcare practices can be, regarding pregnancy, birth, post-partum and infant care. These experiences cemented my commitment to build a practice focused on an empowering and wholesome health care alternative for families. Fortunately, I have been invited back to my chiropractic college multiple times to lecture there on what I have learned though my own practice and continued training and I have been able to teach students there about pelvic instabilities, pregnancy-care, a focus on women’s health and other topics that I did not feel are adequately taught in school. Two weeks after my graduation, Jacob was born alert, peaceful, and happy at home in Portland. (I was fortunate enough to also be born at home, as were my three younger siblings). As I watched Jake thrive in his first months, I realized that one of the greatest gifts you can give your child is the gift of health. In addition to raising healthy children, I strive to be healthy myself. So in our family we breastfeed, we eat organically, we rest, we play, we laugh, we are treated with regular Chiropractic and craniosacral therapy, and we go outside to play a LOT. Luke, Jake and I moved to Nevada County in the beginning of 2009 so that I could enter practice with my father at Jacobson Chiropractic (a lifelong dream!). A year later we bought my grandfather’s property in Nevada City, the homestead where my dad was raised. In July 2011, we had another delightful son, Giles Ray and in March 2014 we welcomed Ian Glacier. As the mother of three young sons life is always full and adventurous and I constantly work for balance in my own life and that of our family. Within a few years of practice, I realized that I could help my patients tremendously with chiropractic and craniosacral therapy, but that what I offered was still incomplete. I was missing something. I needed to find a way to treat more internal and systemic problems. Functional Medicine, nutritional counseling and group purification/detox cleanses were the solutions I began to implement. Functional Medicine is focused on analyzing the whole body and its systems to decipher and treat the root cause of disease. Blood work, hormone, adrenal, gut tests, extensive intake paperwork and personal history are my tools to peer deeper into people’s health. When these results are received we narrow conventional blood reference ranges and look for patterns as people often feel unwell way before they go out of lab range normals on a blood panel. I consider this true preventative medicine. After catching many previously un-diagnosed issues with thyroid, anemias, adrenals, parasites, chronic infections, autoimmune diseases and more, I am absolutely convinced of the importance of objectively measuring our health through lab testing and treating it accordingly. It is so rewarding to catch people who are slipping through the cracks and to help them get better. Let’s face it. It is hard to change our habits and create the lifestyle shifts that best facilitate our optimum health and well-being. We all know we could do better on a few fronts when it comes to diet, exercise, emotional and mental stability and spiritual practices. In order to truly support people in making lifestyle changes (instead of just telling them what to do!) 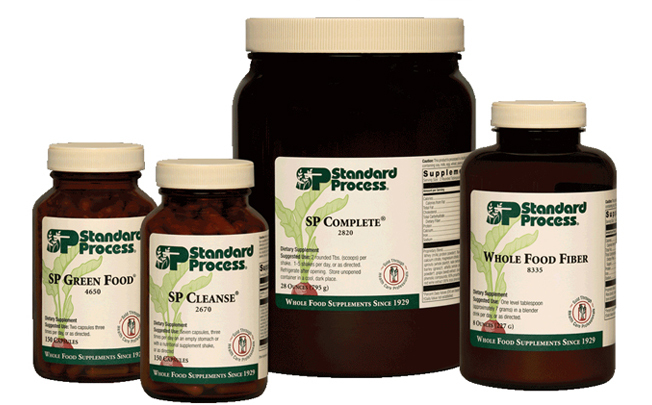 I created a 21-Day Purification Cleanse in January 2013 with my nutritionist Jessica Flanigan. For this process we created a 35-page written manual, daily emails, weekly informational meetings, extensive recipes and a collection of whole food nutritional supplements to push elimination pathways and detoxify the body. Hundreds of people have gone through this month-long process and it has been life-transformative for many. I am excited to offer such safe and effective methods of healing, doing work that aligns with and builds on my ever-growing experiences and training. I am humbled to work alongside so many skilled practitioners locally and nationally, especially my father who I enjoy seeing, collaborating and cross-referring to daily. I am thrilled to be a part of building communities around healthy images of women, birth, family, and care for our children. Of catching people who are slipping through the cracks in our health care system and truly teaching what a healthy diet and lifestyle would look like. What could be better? I look forward to working with you. I am pleased to offer my newest clinical addition: Functional Medicine. Over the last 3 years I have been quietly and diligently working with some of the best and brightest teachers and practioners in Functional Medicine so that I can offer the community that so many of you have asked for: a system of medicine that takes into account the whole body and its function in order to uncover the root cause of what is ailing you. Through Functional Medicine we can get answers about thyroid, adrenal and hormonal health, digestive wellness, parasites, hidden autoimmune diseases and infections, blood sugar stability, heart health, B-vitamin methylation, anemias and more. We can find answers to health questions such as, “why am I so tired?” “Why can’t I concentrate well?” “Why do I wake up every night at 3am?” “Why can’t I lose this weight?” “Why am I so bloated?” “Why do I have such a foggy brain?” and “Why don’t I feel good?” Together we will piece together your specific health puzzle and create a wellness protocol to move you into vibrant health.